I was 15 when my aunt was diagnosed with breast cancer. It was the first cancer diagnosis in the family. Needless to say, it was a shock for us. Luckily my aunt was diagnosed early enough to beat cancer. She did go through the radiation and all the rough treatments, though. If you ever have been close to a cancer patient (if you haven’t, God forbid you to don’t), you will know that those treatments knock a person out. They beat cancer AND the person. My aunt was not able to perform basic tasks. That’s when the family, her husband, kids, and friends come in to help and support. 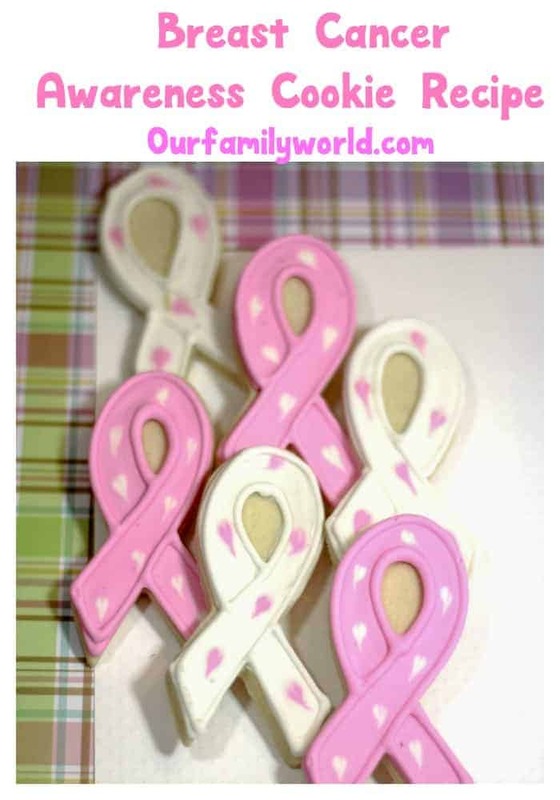 That’s why I am sharing this easy cookie recipe to support Breast Cancer Awareness Month. These cookies can be used as a fundraiser to help cancer patients. My aunt had to take a leave of absence, without pay. Imagine the financial burden on the family. These breast cancer awareness cookies can also be offered as a gift to the cancer patient’s family. I remember that my cousins were clueless when their mom was diagnosed. They needed all the comfort we could give. Homemade delicious cookies will cheer them up. There are other ways to comfort breast cancer patients and their families. You can bake these recipes for them. You can lift their spirit with this chemo care package. You can also make these crafts to give or sell. There are numerous ways to support and help. Now let’s see how you can lift their spirit with this cookie recipe. Cream butter, sugar, vanilla and egg in a mixing bowl until well combined. In a small bowl add the dry ingredients and mix until combined. Gradually pour in dry ingredients into the wet ingredients bowl and mix until well combined. Place dough into a ziplock bag or in a bowl with foil to place on top. Place in the fridge for 2 hours so that the dough can rise. It won’t double in size like bread dough. Pull out of the fridge and let it sit on the counter for 1 hour. Roll dough out and using the skull cutter upside down, cut out cookie. Using the Santa hat, cut out cookies. Take the skull cutter and using it upside down cut out the top part of the skull in the hat. Using the skull cookie, you cut before, attach the skull and the hat together. Separate the egg yolk from the whites. Put the egg whites into a mixing bowl and trash the rest of the egg. Add the sugar, cream of tarter and vanilla extra to the egg whites. Beat on medium speed for 6 minutes. If the icing has a yellow color and looks like soup, add more powder sugar. About 1 cup. Once the icing is done, pour it into a container that has a lid to it. Divide the icing into 2 bowls. Put the white icing into the first bowl. Add a few drops of pink coloring into the second bowl and mix until combined. Scoop a small amount of the icing colors into 2 different piping bags that have a #2 icing tip on the bottom. Outline each color in either the pink or white icing. Allow a few seconds to dry before filling them in. Squeeze out the majority of the remaining icing into a bowl. Add in 1-3 tablespoons of water to thin the icing out. You want it to be thick and runny, not soup like. If it is soup like add in 1/4 cup of powder sugar to thicken it. Spoon some of the thinner icings onto the ribbon cookie (the icing should match the outline color) then using a butter knife spread the icing throughout the cookie. Using the opposite icing color remaining in the piping bag dot a small amount of the icing and using a toothpick dipped into that dot to drag it out to look like a heart. Allow the iced cookies to dry for 5-10 hours. Do you know anyone who could benefit from this breast cancer support cookie recipe? What other ways do you show your support during breast cancer awareness month? Those are some awesome cookies! I have a few friends fighting breast cancer. So this month has a special place for us. I’ve also lost several women in my family as well as too many friends to this devastating disease. Your beautiful BC ribbon cookies are a great way to bring more public awareness that we all hope will eventually lead to a cure. Super cute way to raise awareness! I like the way you did the icing. My mom had breast cancer, so she would have loved these cookies. 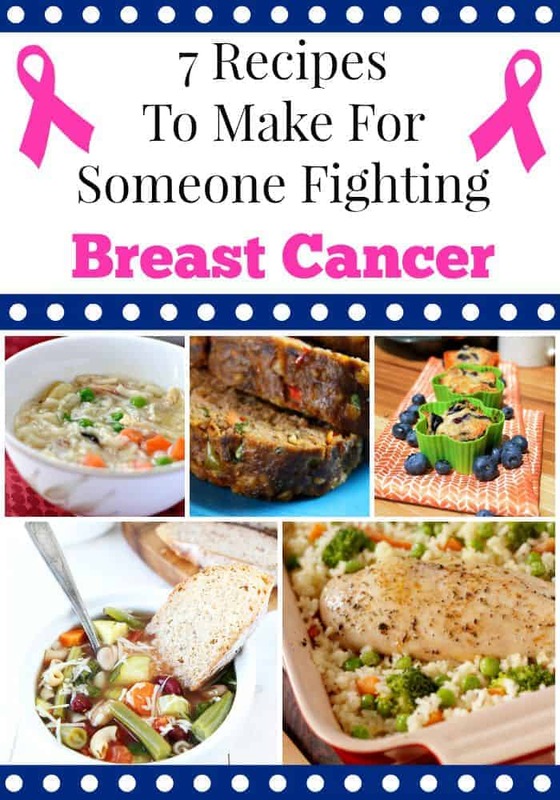 I like the idea of making these foods for someone battling this awful disease. These are beautiful breast cancer cookies!! I didn’t realize they sold a ribbon cookie cutter like this will have to keep my eyes open for one. Breast cancer awareness is so important, I mean the whole month of October is dedicated to it! The best way to spread awareness is by word of mouth. I think those cookies will do the trick. My mother went through a double mastectomy this year, so we are looking at the ‘flashy’ side of cancer awareness a little different. I think the best take away is to support and love your friends and family always, not just in cancer, but to make the most of the time regardless of diagnosis, because cancer impacts everyone. These cookies are amazing! I am going to make some for my cousin who is going through chemo right now. My mother died from this horrible disease and my grandmother and aunt are both fighting. This is a great way to show support!